Worldwide: Ian Parker of John Truslove with Gary New and Andy Lawrence from City Sightseeing Worldwide. 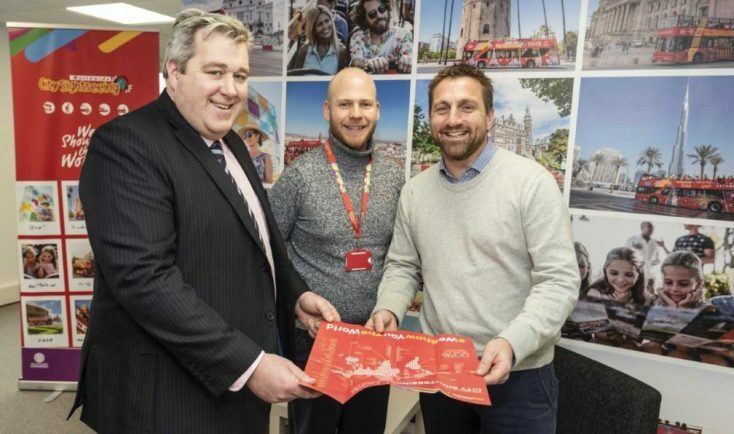 City Sightseeing’s Andy Lawrence said: “We had outgrown our previous home and needed bigger offices, but Redditch also has a demographic that fits the bill for us in terms of future recruitment of high quality staff. Last year it handled more than 14million customers.